Today I am blogging my lunch. I may end up adding a little more to it depending on how I feel after eating it. Peel cucumber. 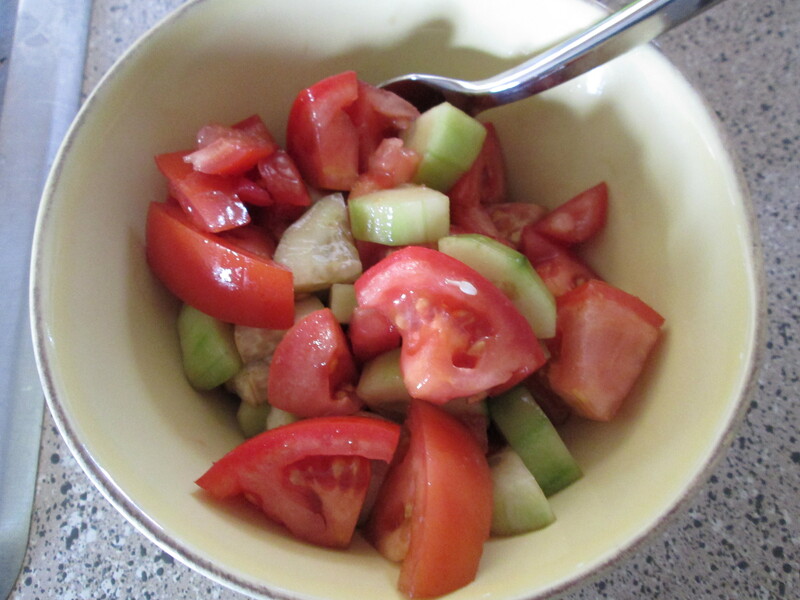 Cut the cucumber and tomatoes up. Throw in a container. Add olive oil and balsamic to taste. Enjoy! Paired with fruit infused water. Courtesy of my friend who send the idea to me in a text! 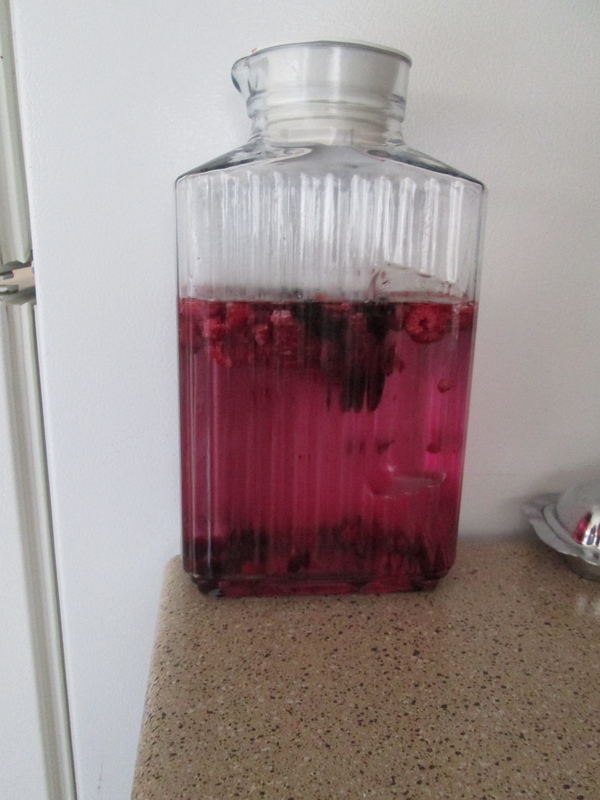 Roughly chop the frozen berries and add to water. If you use tap water, I would add ice cubes. Otherwise, just set in the fridge and wait (I used water from our Brita pitcher that we keep in the fridge at all times). This is very mildly flavored. It would probably be best to have while out and about and needing something refreshing rather than with a meal. Live and learn! I like the water idea. Take note: if using citrus, cut off the rind and peel because otherwise it can be bitter.